Bringing different colors, flavors and cultures together, Karnataka is a place which has successfully carried off a legacy of art and culture from the ancient times. A well-known tourist hub, Karnataka is a place which demands a must-visit from travelers all across the globe. When it comes to tourist attractions, Karnataka has much to offer from its popular districts. Karnataka has everything, right from pilgrimage centers to beaches. Are you planning to visit Karnataka this holiday season? We agree to the fact that it is not that easy to plan a tour. For the same reason, we have listed some popular destinations of Karnataka which offer some great attractions. Karnataka truly has a destination for everyone and thus, witnesses increased tourist numbers every year. We hope that list below helps you plan your holiday in a better way. Located within the ruins of Vijaynagara, Hampi - UNESCO World Heritage Site - is the former capital of the Vijayanagara Empire. It is a major religious centre of Karnataka and houses many other monuments apart from the Virupaksha Temple. 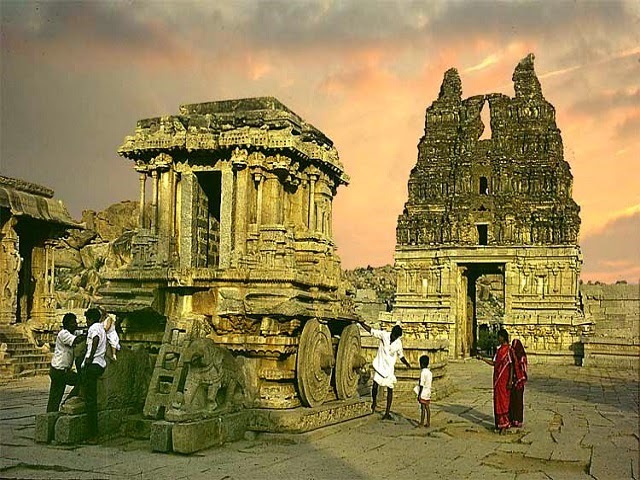 Other attractions at Hampi include Vittala temple, Royal enclosure, Lotus temple, Krishna temple and Matanga hill. Ailhole is a village which is well-known for its architectural structures. This historical temple complex has more than 70 temples and their architecture is enough to entice the travelers to pay a visit. Some important temples at Ailhole include Lad Khan Temple, Chikki Temple, Rachi Temple, Kunti Temples Complex and many more. 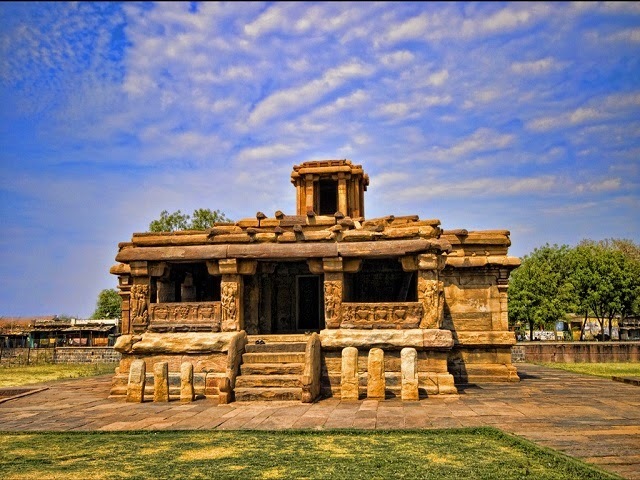 A famous World Heritage Site, Pattadakal is located in the Bagalkot district. The place has a lot to offer when it comes to places of interest. 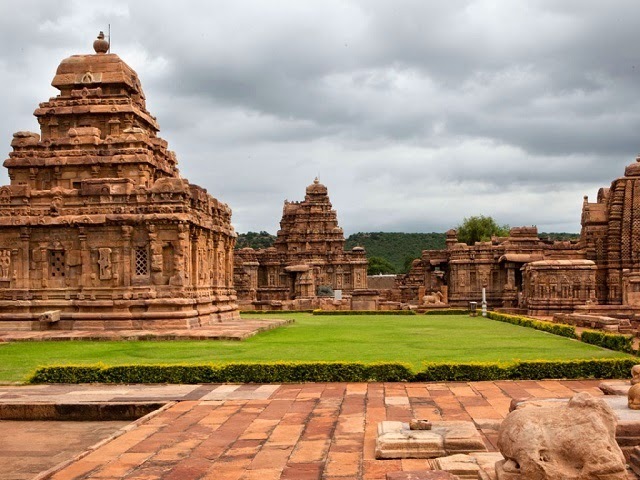 Some places of interest nearby Pattadakal include Papanatha temple, Jain temple, Badami and many more. Classical dance festival and Virupaksha temple car festival is organized every year in Pattadakal. Known as the architectural temple of Karnataka, Hassan city was founded by Channa Krishnappa Naik long back in the 11the century. The place covers an area of f 26.5 Sq km and is known for its historical values. Major tourist attractions which are near Hassan include Chennakesava temple and Hoysaleswara temple. 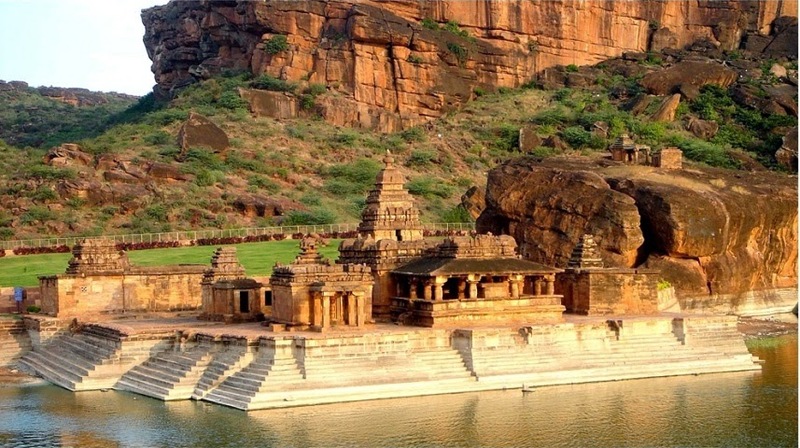 Famous for its cave temples, Badami served as the capital of the Chalukyas back in the 6the century. All the temples in Badami are well-known for their architecture. The place also offers adventure sports like rock climbing to the tourists. The rich culture and heritage of Bijapur is the key reason why tourists from all over the world visit here all through the year. Bijapur was founded in the 10th century by the Kalyani Chalukyas. 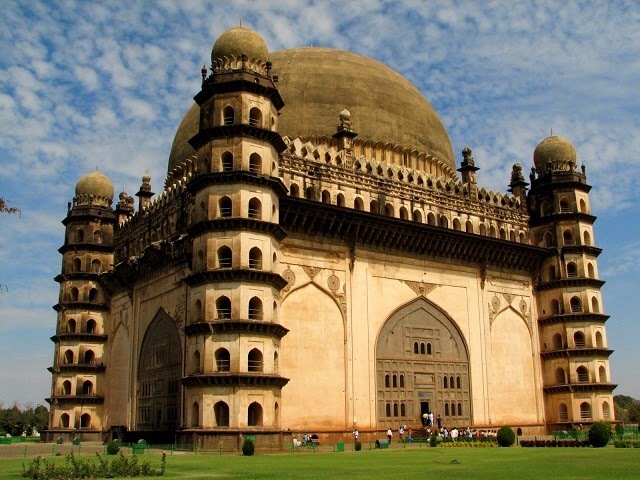 The place has many tourist attractions including Gol Gumbaz, Ibrahim Rauza, Chand Bawdi, Asar Mahal and many more. 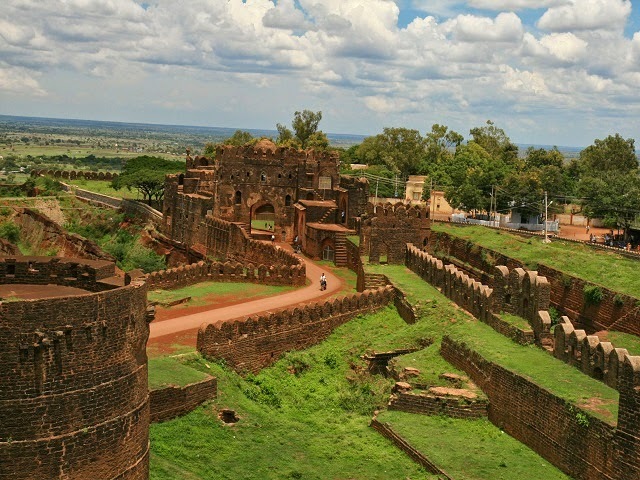 Bidar is counted among the major tourist attractions of Karnataka. It has many historical monuments which are there from the Bahmani era. Some major tourist spots of the city are Bidar fort, Rangeen Mahal, Gagan Mahal, Takht Mahal and many more. Both the places, Belur and Halebid are known for the royal glory which they enjoyed in the 12th century. 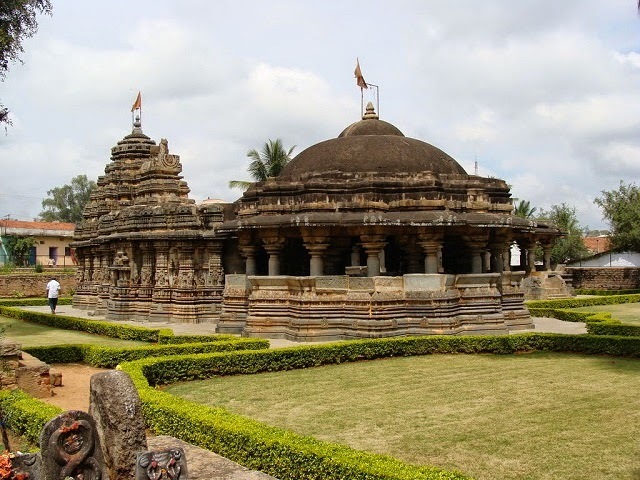 Belur is famous for the Chennakesava temple which reflects the true picture of Hoysala workmanship. On the other hand, Halebid has temples like Hoysaleshwara and Shantaleshwara which have beautiful carvings and sculptures. Shravanabelagola is a city near Channarayapatna of Hassan district. 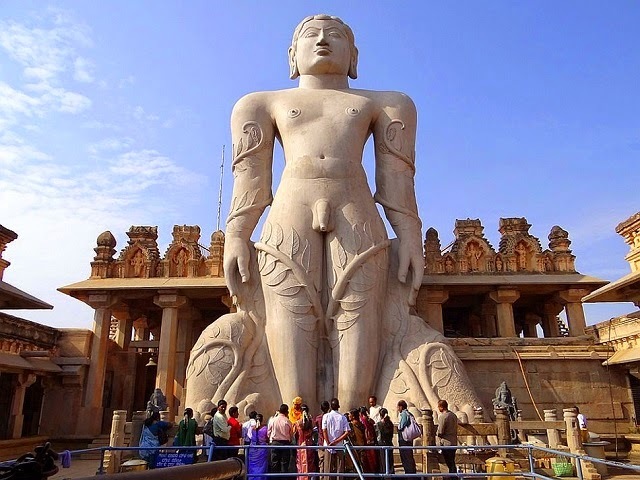 The place is renowned for the Gommateshvara Bahubali statue at Śravaṇa Beḷgoḷa.It is considered one of the most important pilgrimage destinations in Jainism. 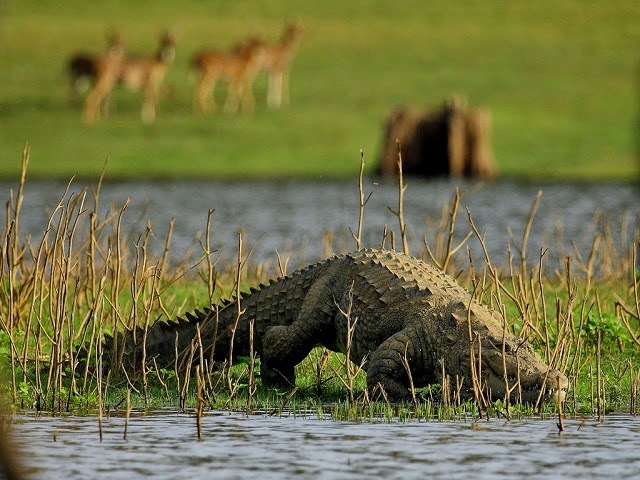 Also known as Rajiv Gandhi National Park, Nagarhole National Park is a national park which is located in Kodagu district and Mysore district in Karnataka. 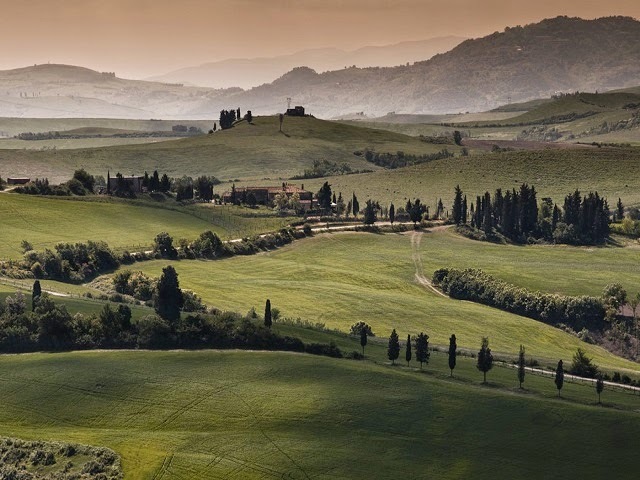 The national park covers an area of 643 km2. The park is visited by travelers all around for its forest cover, hills, valleys and waterfalls. 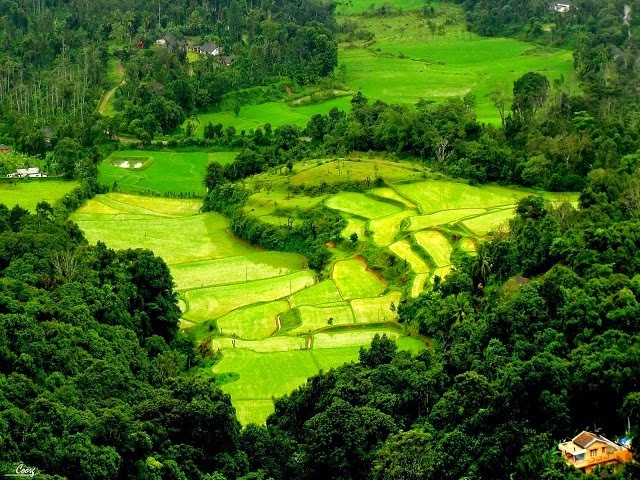 This national park is a part of the Nilgiri Biosphere Reserve. Also, the park has a high tiger-predator ratio as it has many tigers and elephants. 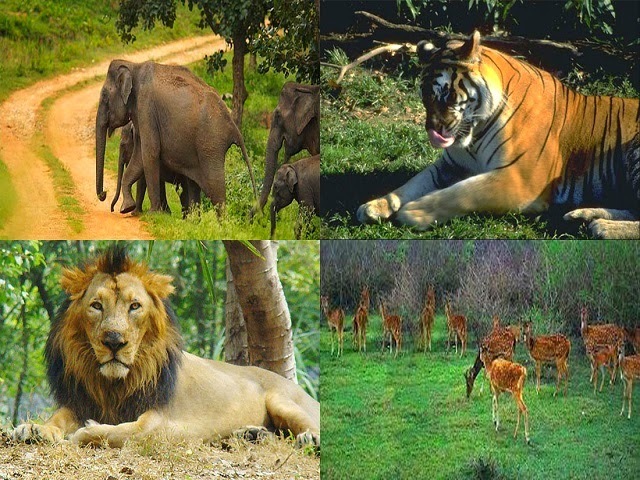 Bandipur National Park is one of the oldest national park which was established in 1974. The park covers an area of around 874 square kilometers and protects different species of India's endangered wildlife. It is considered the most beautiful and well-managed national park in India. The park is famous for its wildlife and biomes. The dry deciduous forest is dominant in the park. enough to attract travelers from all over the world. 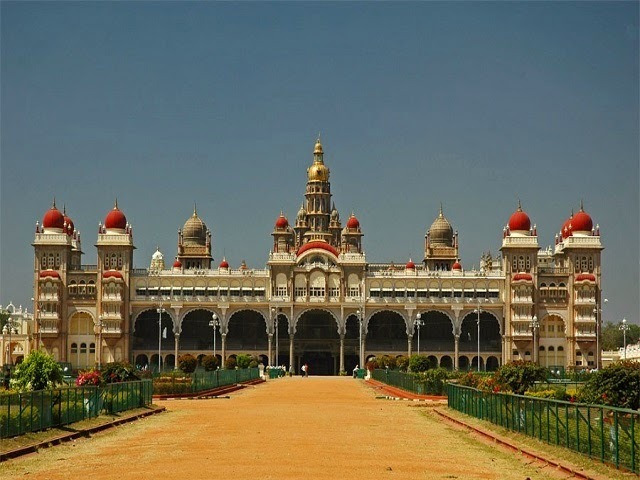 The place offers different tourist attractions such as Mysore Palace, Jagmohan Palace, Railway Museum, Karanji Lake and many more. Coorg is a mountainous district which is famous for its evergreen forests, hills, green valleys, coffee plantations and flowing streams. 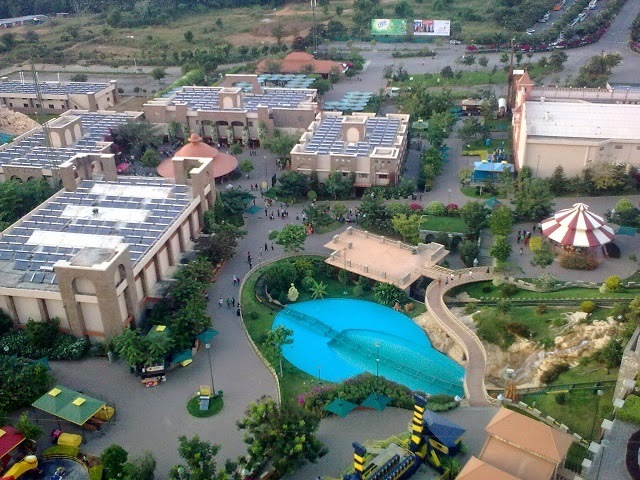 The place offers a treat to all the nature lovers with its scenic attractions such as Coorg also offers scenic destinations such as Chelavara Falls, Harangi Dam, Kaveri Nisargadhama, Dubare Elephant Camp and Mandalapatti. Known as the Silicon Valley of India, Bengaluru is the third largest state in India. The place is not only the nation’s leading IT exporter, but also a major tourist attraction. Some main tourist spots include Jawaharlal Nehru Planetarium, Lal Bagh, Cubbon Park, The Aquarium, Venkatappa Art Gallery and many more. Chikmagalur is very famous for its coffee and is also known as the ‘coffee land’ of Karnataka. The place is also known for the Mahatma Gandhi Park which it houses. Also, the place is famous for its hill stations which are visited all round the year. A number of tourists also visit the place during the time of Dussehra when cultural programs and performances are organized. 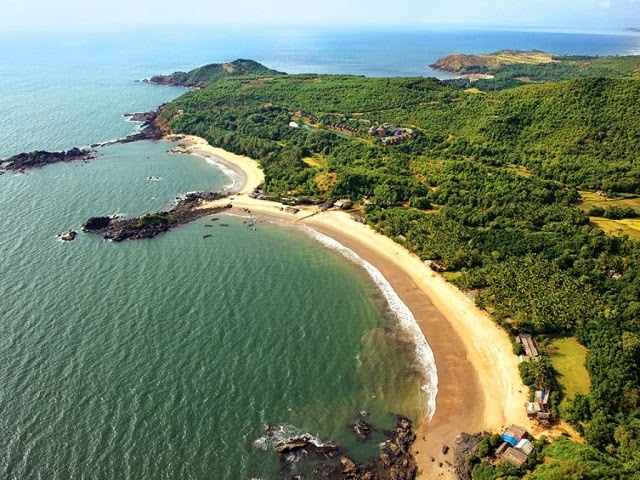 A famous pilgrimage center of Karnataka, Gokarna is located at the connecting place of two rivers, Aganashini and Gangavali. The place is famous for its beautiful beaches. So, the place is popular both as a religious attraction and holiday destination. Some famous temples of Gokarna are Uma Maheshwara Temple, Tamra Gauri Temple, Bhadrakali Temple and Venkataramana Temple. Dandeli is a famous educational and industrial hub. It is mainly known for its paper production. It houses some famous historic landmarks and religious spots like the caves of Kavla, the Ulavi temple, Sykes Point, the Supa hydroelectric dam, and the Syntheri rocks. The place is also a known adventure sports destination. With the second tallest Shiva statue in the world, Murudeshwar opens arms for tourists from around the world. 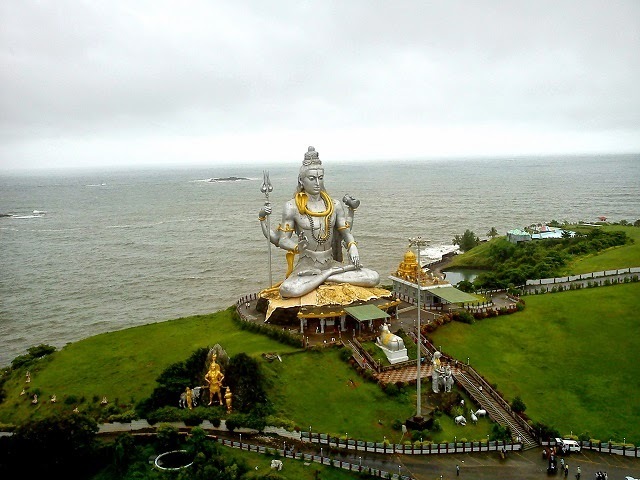 The temple which has made Murudeshwar a famous tourist spot is located on a peninsula which is surrounded by the Arabian Sea on the three sides. Apart from the temple, the place offers some fun seaside activities such as snorkeling, swimming and boat riding. So, it’s time to pack up your bags and rush to Karnataka if you don’t want to miss a sight of these beautiful destinations.